Everyone remembers the first pair of Dr. Martens that graced their feet; mine were a not-so-subtle, metallic gold, soft leather pair of classic 8-eyelet boots that I purchased from some semi-famous scene kid with huge, backcombed hair on MySpace for £30. Who knew MySpace was doing what Depop does today, but a decade earlier! I actually still have that metallic gold pair in my growing Dr. Martens collection... eight pairs and counting if you were curious! Dr. Martens are one of my all time favourite footwear creators, as not only are they comfortable the most comfortable shoes in the world (after you've spent a few dedicated months of pain wearing them in, but totally worth it), but they last a life time. That secondhand golden pair are on their 11th year with me and after wearing them consistently in my teenage years they've still got a lifetime left. 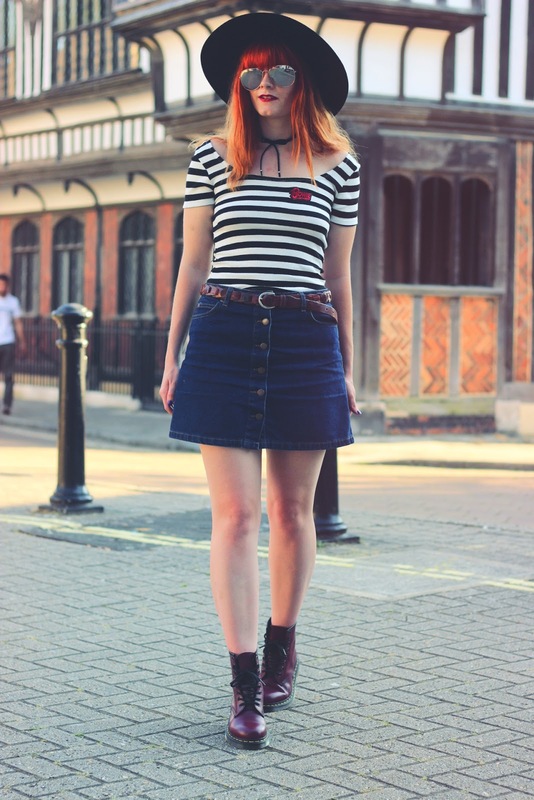 A few weeks ago I was invited to visit the Dr. Martens store in Brighton whilst I was visiting the seaside city with Ibis Hotels (blog post here and vlog here). I was also ever so kindly allowed to choose a pair of shoes to take home with me, which was a pretty difficult decision considering how many of the new collection instantly became smitten with. 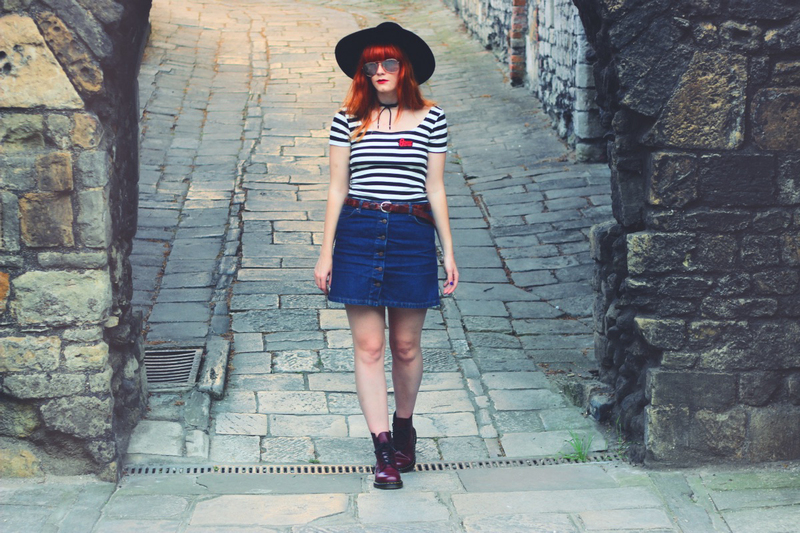 After a trying on session filled with umm-ing and ahh-ing, I opted for the classic 1460 cherry red 8-eyelet boots as I have wanted them for a good few years and they're pretty easy to style. As I mentioned before, a new pair of Dr. Martens are a challenge to break in as the leather is so thick, but once you have worn them in, you'll never look back. Whilst I was in the Brighton store, I asked for some tips on how to make the wearing in process a little easier on my feet. The extremely lovely shop assistant recommended leaving any hard leather shoes out in direct sunlight every time we have a sunny day as it naturally softens the leather - bloody genius! 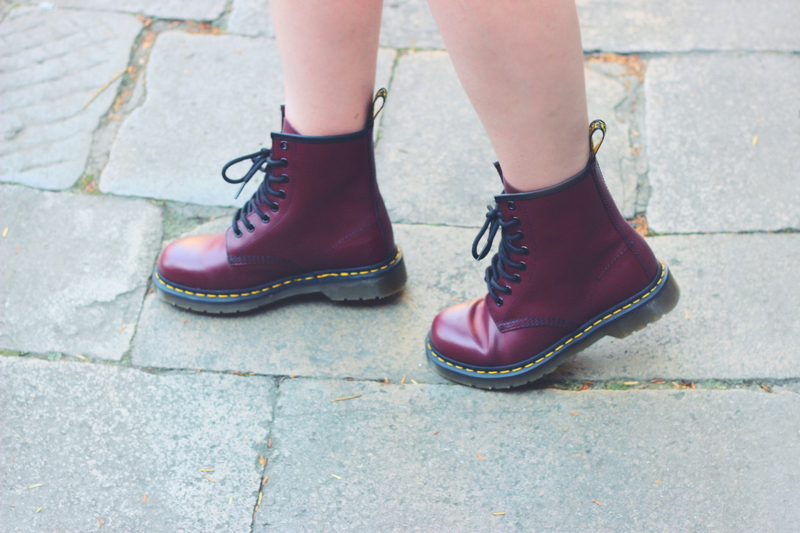 Do you remember your first pair of Dr. Martens? My first pair of Doc Martens were clunky and heavy and I have never bought another pair. Perhaps I should give them another chance?